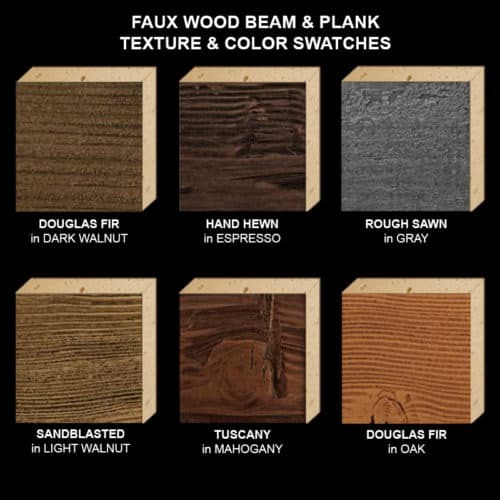 These Sample Kits are a great way to see and feel the beauty of our Faux Wood products and to make the best selection for your project. FREE SHIPPING! 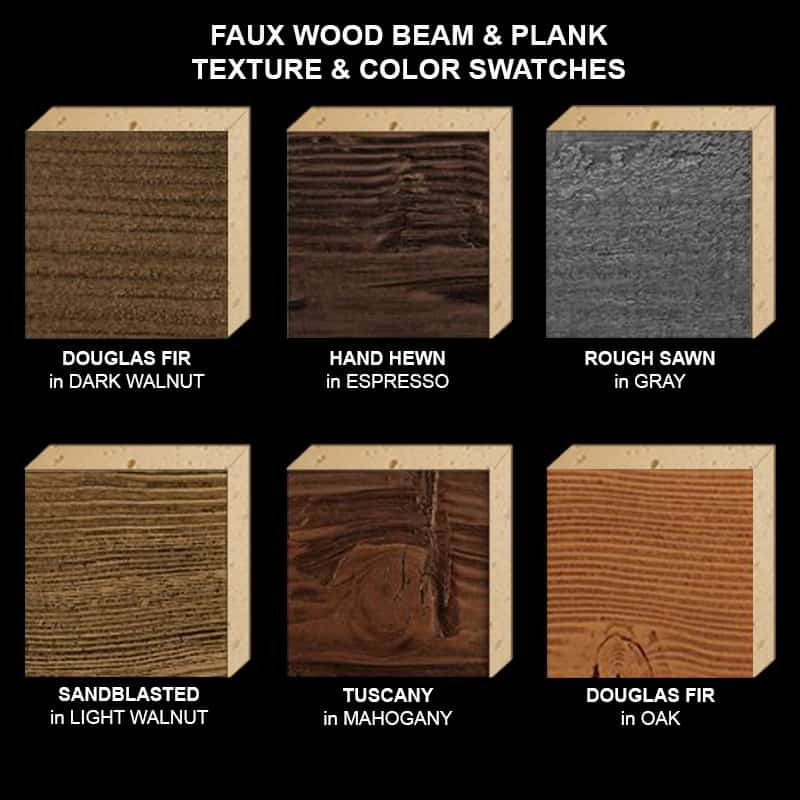 Each Kit includes Six (6) Material Swatches at 4″ x 4″ each in your choice of Texture and Color allowing you to see and feel the Quality & Beauty of our Faux Wood Ceiling Beam products and to select the best options for your project.